making it fun: The Great Pattern Hack :: Tamara Kate!! Now this is a jumpsuit that I would wear! I love the wide legs and the deep V in the front! Tamara hacked the BurdaStyle Short Sleeved Jumpsuit with a simple adjustment- she just widened the legs to make an easy, breezy look. How great does the back look?! I think the open back with the tie balance really nicely with the wide legs. 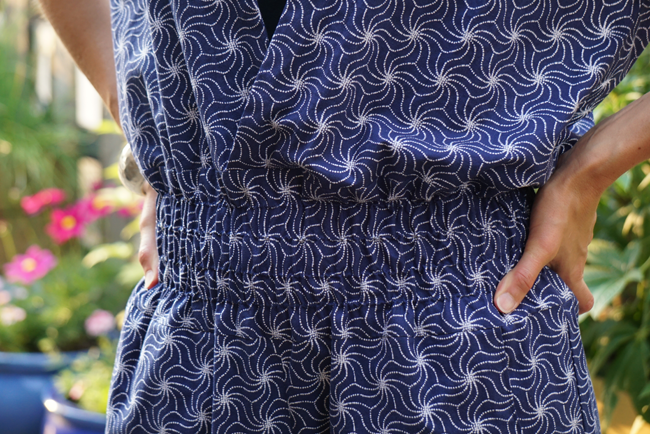 And, yes, this jumpsuit has pockets :) which is always a plus! If you'd like to see more photographs of Tamara's hack, you can find them on her blog, Kaya Joy Designs. 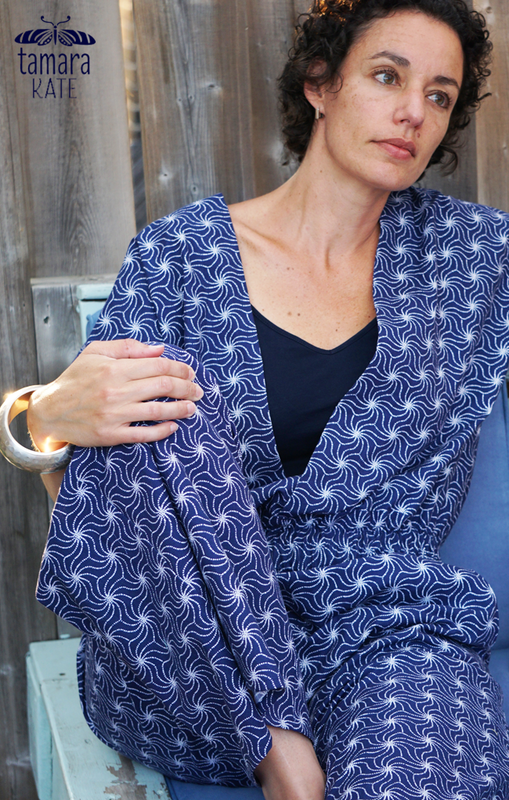 For those of you who don't already know, Tamara is a Michael Miller Fabrics licensed designer. She just released the Birds & the Bees and is hosting her own blog hop which you should definitely check out! Stay tuned for Wednesday's hack with Betsy Blodgett of Indygo Junction!